Urban is getting into the wedding business! 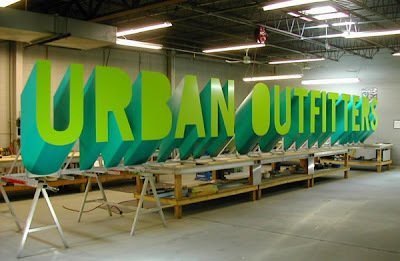 By Valentine's day 2011 Urban Outfitters will launch a website that will focus on wedding gowns, intimate apparel, and special occasion gifts. After they launch the site they will then open up stores under a name that has not yet been revealed. What do we all think about this?! I'm thinking it could be a really cool concept especially because designer wedding gowns are CRAZY expensive. With this concept it might allow you to get a designer look without the designer price....sounds pretty fan-tabulous to me! They are also launching their first store under their uber successful label Leifsdottir...looks like the recessionistas on a budget are keeping them in bizzzzz-nesss.